Trekking around lower solukhumbu offers a unique opportunity to experience relatively untouchable east part of the lower solukhumbu, its 300km rode way from main capital city Kathmandu, This rode is newly open In 2007 and peaches 2011, for trekking and transport is the main sufsitude for Local people. Upper solukhumbu is the main tourism in Nepal even thousands of tourist travel around this mountains country but still lots of beautiful things to see the lower art of the solukhumbu, its culturally reach valley and hundreds of nice cinereous are haven’t seen here with through local people. It’s the one of the mingling cultural valley where many ethnic people leave in this valley. Here main accusation is the farming, unique adventure still people haven’t chosen yet driving to Salleri is one of the most famous adventure. riding through the nice well done rode to Ghurmi following by the Roshi Khola and Sunkoshi is the main awesome river at the below to the rode and here we will see the lots of rice paddy and nice farm, your drive will makes you to keep open your eyes ,and historical place Okhaldhunga and one of the tremendous place king of the view point Paatale danda 2980 m , form here you will see the whole range of the Mahalangur Himalaya view. Everest is the Maine highlight of the Moment to stay here for sun set and sun rise, driving to salleri is another awesome part of the adventure having gorgeous lower solukhumbu valley with a lots of climbed mountain range are visible, Salleri is the capital of the Solukhumbu drastic where is hospital, collage, government office, school and privet schools. 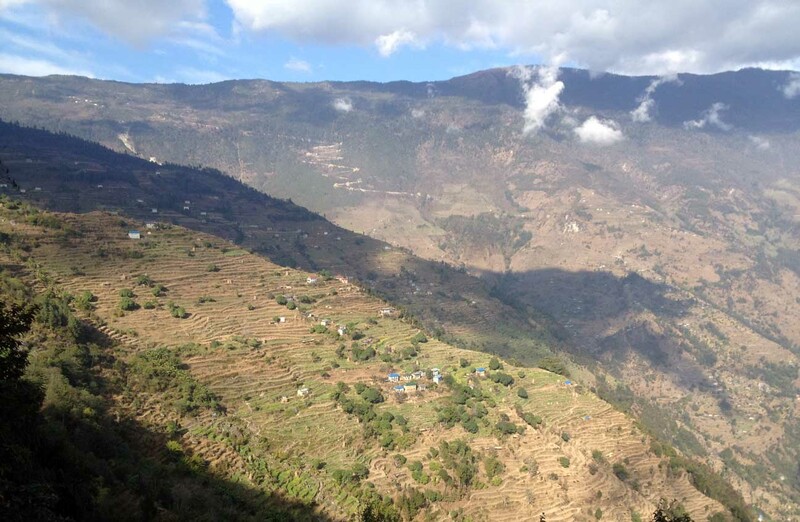 Touching in to the rural village Kanku is border of the capital town of solukhumbu drastic. Which is very beautiful and untouchable part by the main business rode , life style are very simple and poor but they proud of their beauty of the nature its offering many things to see and touch the rural town Mural especially the education and health are away from main rescue sources. hiking to Ratnagi Danda is another opportunity to see the mountains views , flowers and full of birds , here the wild animals are more attracting part of the day and it’s in stunning valley are rising, the magnificent pain and incent forest are magical. people are very nice and welcoming event they have nothing in hand it’s very brave heart, here people are waiting to grow and wondering to bring more people and let visit, the wondering to change their life style , especially in the school and health. This 10 days feverous adventure will makes remarkable memories with such a wonderful high Himalaya and there divers culture and ethnicity of the lower solukhumbu having this adventure touch in to Kanku village tour makes your dreams of remote comes true. Outline Itinerary Day 1: Arrival at Kathmandu airport, transfer hotel, welcome dinner with cultural Nepali restaurant, Day 2: cultural sight sings world heritage site afternoon briefing, Day 3: Drive to Patele Danda (2980 m) stay at family tea house , Jeep following by Sunkoshi river and historical Place Okhaldhunga - 8 hours Day 4: Drive to Salleri (2340 m) crossing the Patele La pass and Solukhola - 3 hours, Day 5: Drive to Nele bumpy road and trek to Jhadeni (2330m) - 4 hours, Day 6: trek to Mural Village (2140 m) by Waaku pass and gorgeous mountain far from such as Dudhkunda Himal , 3 hours afternoon typical village chatting, Day 7: explore the Local village, School Monastery and community health post, Day 8: climb up to Ratnaggi Danda (2890 m) for nice Mountain View and stunning valley of lower solukhumbu, trek down to Phaplu - 6 hours Day 9: Drive to Kathmandu - afternoon free, shopping and half day sight tour yourself, Day 10: Mural village trip end airport transfer.